Aurora, S. , De Angelis, R. (2018). Introduction. Acta Structuralica 1, pp. 1-8. 1The relationship between phenomenology and structuralism has generally been pictured as one of opposition, even antagonism. To take one example, Michel Foucault wrote in the English preface to The Order of Things: « If there is one approach that I do reject […] it is that (one might call it, broadly speaking, the phenomenological approach) which gives absolute priority to the observing subject, which attributes a constituent role to an act, which places its own point of view at the origin of all historicity – which, in short, leads to a transcendental consciousness » (Foucault 2002, xv). Perhaps as a result of such positions, structuralists and phenomenologists have tended to ignore their respective concepts and fundamental assumptions. As Sémir Badir writes in these pages, « on the whole, phenomenologists rarely read the works of semioticians or linguists; as to the knowledge that semioticians have of pheno­menology, one has to admit that it is often superficial » (Badir, infra). 2Despite this mutual ignorance (which in any case seems to be subsiding, cf. Bordron 2011, Denis 2011), it is possible to construe the opposition between phenomenology and structuralism more positively, in terms of their complementarity, or – in the words of Bernard Waldenfels (2005) – as a fratricide or parricide, that is to say as opposing elements which nonetheless share a common origin and genealogy. It is in this sense, for instance, that Elmar Holenstein has claimed that « phenomenology constitutes the histo­rical and material condition of possibility of structuralism » (Holenstein 1975). This more synthetic line of research pioneered by Holenstein in the 1970s has recently regained its vigour (cf. Stawarska 2015, De Palo 2016, Aurora 2017, Flack 2018) and is the one pursued by the contributions in this issue. Its main premise is that phenomenology and structuralism emerged as pan-European, interdisciplinary traditions which, far from representing con­flicting or alternative schools, developed within a wide and complex network of mutual influences at the beginning of the 20th Century. 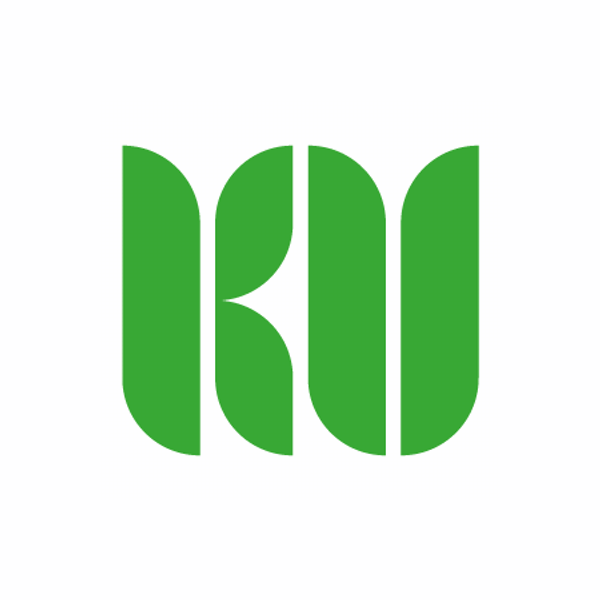 3As examples of this network, one can mention here the traces of the direct and indirect influence of Husserl’s writings on many of the different scientific theories in which a structuralist or proto-structuralist approach was first de­veloped. For instance, Husserl played such a crucial role for the development of the theoretical principles of the structuralist trend in psychology, namely Gestalt psychology, that he can be considered with Christian von Ehrenfels and Carl Stumpf as one of its founding fathers (cf. Ash 1995). Similarly, Husserl’s notion of figurales Moment – introduced in his first philosophical work, Philosophy of Arithmetic – can be fully considered as a theoretical pre­cursor of the key concept of Gestalt (cf. Ierna 2009). 4In the mathematical tradition of structuralism (associated initially with the work of the Bourbaki or David Hilbert), Husserl’s main contribution lies in the widening of the mathematical concept of manifold. The comparison between Husserl’s theory of pure manifold and Bourbaki’s structuralist project is of particular interest. As Guillermo Rosado Haddock has observed, « Bourbaki’s conception of mathematics is very similar to that of Husserl » (2006, 213). In fact, « universal algebra and general topology are clearly partial realisations of the Husserlian ideal ». As such, Husserl anticipates « future developments in mathematics, namely, the possibility of combining different but compatible mathematical structures to obtain a complex mathematical manifold » (Ibid., 208). 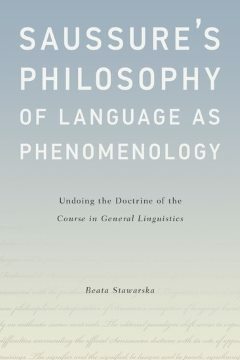 5In the language sciences, one can identify substantial affinities between Husserl, and the structural linguists, to the extent that it is even possible to consider the Logical Investigations as one of the fundamental sources of struc­tural linguistics (cf. Aurora 2015). Although there were no direct contacts between Saussure and Husserl themselves, there are many meeting points between Husserl’s philosophy and the school of Copenhagen or the Prague Linguistic Circle. 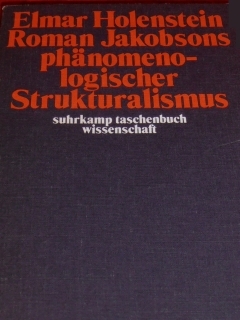 Roman Jakobson explicitly considered Husserl’s pheno­menology as one of the main sources of Prague structuralism and, more specifically, defined Husserl’s early materpiece as one of his strongest theo­retical influences (cf. Holenstein 1975). 6To further flesh out this common background, it is worth considering phenomenology and structuralism in three complementary ways: as tradi­tions, methods and theories. 7Understanding phenomenology and structuralism as traditions – i.e. as historically situated movements that involved a number of different actors both at their centre and their periphery – provides the basis for highlighting their common genealogy. In addition to the elements already mentioned, one thus finds a number of significant authors who positioned themselves at the crossroad between phe­nomenology and structuralism – and who have often been marginalised in historiographies of each of these movements –, such as Hendrik Pos, Ernst Cassirer, Jacobus van Ginneken, Karl Bühler and, more generally, the Gestalt psychologists. 8Considering phenomenology and structuralism as methods, one can then highlight the set of common fundamental assumptions shared by the members of both traditions. Amongst other, these shared methodological assumptions are a descriptive and universalistic perspective of analysis, refe­rences to formalism and modelisation, the use of commutative or variational procedures and, finally, the recourse to qualitative analyses.  9Finally, focussing on phenomenology and structuralism as systematic theories or theoretical models opens up a space to productively combine their fundamental features. In particular, this combinatory approach outlines the twin idea that, on the one hand, phenomenology is essential to solving the impasse of structuralism, namely its tendency to employ too rigid a notion of structure and to rest on a naïve objectivism ; on the other hand, structuralism is also revealed as essential to the impasse of phenomenology and its tendency towards radical forms of subjectivism. 10This central thesis is explicitly expressed by Simone Aurora and Patrick Flack in their attempt to outline the common principles of a « structural phenomenology ». But it is also found, in various guises and with differing focuses, in all the contribution of this volume. 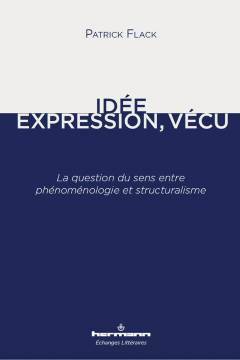 One focal point of this com­plementary relationship between structuralism and phenomenology is the elusive nature of meaning, shifting as it does between a perceptive and a lin­guistic point of view. These elements converge in the notion of form, which constantly switches between a perceptive and a intelligible dimension. 11As Parret suggests in his paper, « perception is considered as the quali­tative source of differentiation ». 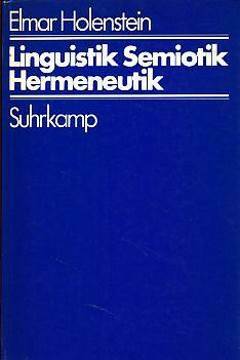 Indeed, the well known Saussurian theory of value, which constitutes the foundation of any linguistic or semiotic system, depends on the perceptive principle of dissimilation (Rastier 1991) which, at the same time, supports the idea of a semantic perception and the notion of semantic form. The latter is the objet of Antonino Bondì’s paper, which deals with the « theory of semantic forms », itself based on the following thesis : « to perceive is always to sketch a meaning » (Cadiot-Visetti 2001, 50, our translation). 12This hypothesis rests on the theoretical proposal of Gestalt structuralism (De Angelis 2014). It results from the encounter between structuralism and Gestalttheorie, in the wake of Ferdinand de Saussure’s and Louis Hjelmslev’s language theories. It consists of an approach to language, and in particular to sense, focusing on the notion of form. Focusing on the stability and the transformation of the structures, René Thom (1972, 1974) analyzes the possibilities and modalities of succession of forms, a phenomenon identified as morphogenesis, a term used to define every creative or destructive process of forms. This perspective has been adopted into the analysis of meaning by Jean Petitot, developed in a morphogenesis of meaning (Petitot 1985), and by David Piotrowski, who elaborated a morphodynamic approach to the notion of sign (Piotrowski 2017). 13However, Gestalt Structuralism develops also as a particular approach to texts at the crossroads between two different perspectives, hermeneutics and linguistics. According to the interpretative semantics proposed by François Rastier (cf. Rastier 2009), understanding a linguistic sequence supposes recognizing semantic forms, which are identified by reading the text (Rastier 1989). The notion of semantic form immediately evokes that of perceptual form: « the language is an object of perception: it is obvious for the signifier but also for the signified, that’s why I developed the theme of the semantic perception » (Rastier 2009b, XIV, our translation). 14The concept of « semantic perception » brings with it a certain paradox: the term « perception » evokes a sensible dimension, while the adjective « semantic » evokes an intelligible dimension. Therefore, as Rastier (2010, 206-207) shows, the notion of « semantic perception » represents a synthesis of different points of view in the analysis of meaning: it draws on the structural paradigm, initially linked to the Gestalt psychology, assuming that the semantic treatment consists in a process of recognition of forms rather than calculation. This approach has been developed especially by Regis Missire (2013) and Philippe Gréa (2017). 15Indeed, the relationship between shapes, backgrounds and background recalls the way in which Gestaltpsychologie explains the phenomena of perception, and in particular those of visual perception (cf. Köhler 2000). When a visual form is under our eyes, it is perceived as a form, while the second one – that emerges by subtracting the first one – is absorbed by the background, so its visual form becomes non-existent to our eyes. However, when the latter emerges from the background, the first disappears. The visual form that comes to the fore and the one that is absorbed by the background can’t be seen at the same time: either we perceive one or we perceive the other. The existence of a visual form therefore depends on a corresponding visual unit that assumes, precisely, this same form after being isolated from the bottom. 16In parallel, analyzing verbal language, a semantic form implies the existence of a semantic unit. The semantic unit thus assumes the form after being isolated from the ground. So it rests on a semantic background in which more or less extensive semantic units stand out. The articulation ground/form plays an important role by applying, beyond the border of the sentence, to the higher dimension of the text. According to this approach, the forms correspond to « semic molecules » (small semantic graphs that do not depend on a particular lexicalization), while the backgrounds consist of « isotopies ». 17In his paper devoted to the concepts of «semantic potentials » and « enactive grammars », Francesco La Mantia develops the theoretical possi­bilities offered by a Gestaltic approach. For instance, the notion of « enactive grammars » suppose a particular conception of compositionality – gestaltist and pragmatic compositionality – which loosen the condition of semantic atomism without weakening the links between understanding compounds and understanding components. 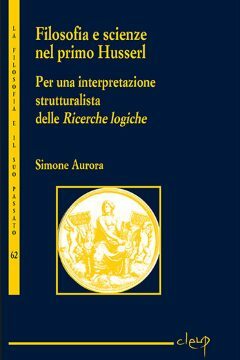 This approach give priority to the « whole-parts » dependencies on which are based the assertions of compositionality, and in this way it also opens the way for a hermeneutical approach to texts. 18As Hermann Parret writes, « the world is structurable, that is, ‘informed’ by the human mind » (Parret, infra). This claim stresses the role of morpho­logy, as Cassirer shows in his linguistic epistemology, and in particular in his last text, « Structuralism in modern linguistics » (1945), where the notion of « struc­ture » is presented from a morphological point of view. François Rastier also deals with Cassirer’s contribution, calling for a reappraisal of structuralism’s historiography away from its exclusive focus on « form ». 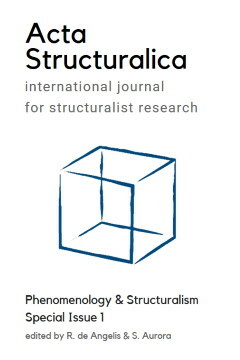 As Rastier writes : « Structuralists have conceived structures either as formal micro-systems (for example, the elementary structures of kinship according to Lévi-Strauss, or the semiotic square according to Greimas and Rastier), or as morphologies – and the Morphology of the Folktale of Vladimir Propp illustrates well the theory of forms that develops from Goethe […] to Wad­dington and, today, from Thom to Petitot » (Rastier, Infra). Two concep­tions of structure become thus competi­tors: a formal and a morphological one. 19Projecting over a double horizon represented by phenomenology and morphology, Herman Parret situates epistemological semiotics in relation to structuralism and phenomenology, coming back to the concept of structure and to its epistemological sources and identifying two theoretical directions. As he writes in his paper: « Jakobson and Hjelmslev, Hegel versus Kant, two structuralisms that are quite irreconcilable: the Pragois cultivate an idealistic realism with regard to the semiotic object, the Genevans, from the Saussurian axiomatic through Hjelmslev to the Greimassian semiotics, a schematizing nominalism » (Parret, infra). 20The dialogue between structuralism and phenomenology is also possible and promising thanks to the mediation of semiotics. As Sémir Badir suggests in his paper, « the possibility of a dialogue between phenomenology and semiotics invites, it seems to us, to take into account the programmatic character which is common to them » (Badir, infra). He adds further: « We wish that the meeting between semiotics and phenomenology, instead of being marked by more or less well-founded oppositions, could be a search of convergences and complementarities. But who speaks of convergences supposes a framework in which such convergences can be recognized. A common lexicon, to which, if not equivalent definitions, at least an equal interest is given, may constitute such a framework » (Badir, infra). 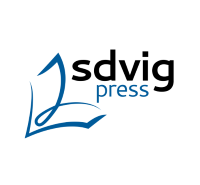 21Badir points out four reasons for claiming a convergence between the pheno­menological and the semiotic approaches: description, reduction, variation and qualitative analysis. But we can evaluate their convergence also through a single notion. For instance, as Lorenzo Cigana shows, the notion of « assent », first introduced in van Ginneken’s masterpiece Principes de lin­guistique psychologique (1907), reproduces both positive and negative aspects of the interference between linguistics, psychology and phenomenology, the fields from which it emerged. Following its path through the structural paradigm up to Louis Hjelmslev’s works, Cigana shows how a notion can be transformed or resist by shifting from one paradigm to the other. 22In short, convergences between structuralist and phenomenological app­roaches offer the promise of very powerful interpretative methods, capable for example of reconciling the notions of visual and semantic forms. New digital objects in particular offer an intriguing field of application where the combination of structural and phenomenological perspectives can lead to the development of new methods to investigate complex objects.